One of things people assume when we talk of Herbalife is overweight people! Wrong, Herbalife is a wellness business helping people maintain the best health, this is clearly in professional sports, in many disciplines in many countries around the world. 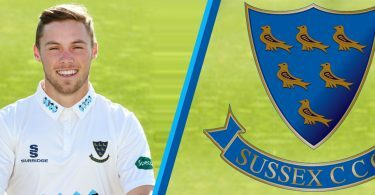 Today we have part of an interview from Phil Salt, from Sussex Cricket club talking about his favorite products. Some from the sport and fitness range and some from the Herbalife24 range. Q: What are your favourite Herbalife products? Lift Off is definitely the one for me! I’m also very partial to a daily Rebuild Strength shake. The Lift Off gives me a great buzz and it has all the other vitamins etc that I know I need so that’s a win for me. The Rebuild Strength tastes great, it mixes really well with water or milk. I’ve had a few lumpy protein mixes before and they really ruin it so it is nice to know Rebuild Strength doesn’t. Q: How does this help you as a professional cricketer? I think a lot of people underestimate the life of a professional cricketer. Now don’t get me wrong; if it rains we might end up sitting around all day but that’s where I will try to get a quick top up session in the gym. Sometimes it seems people think we just stand around and bat and throw, but it’s fair to say it definitely isn’t like that! Especially white ball cricket. It’s actually pretty explosive and fast paced when both batting and fielding. Having Lift off and Rebuild Strength just makes this a little easier. If I have been fielding and know I then have to go out and bat with a short turnaround I would rather have a shake than a heavy stomach of food. I do think good healthy food is important the rest of the time but that’s why we use Herbalife at Sussex. Q: When do you feel this helps you the most? As I mentioned if it rains I might pop into the gym. But like most lads I will wait until it has rained quite a bit to make sure we won’t be going out to play again whilst I am getting tired in the gym. This unfortunately makes me being lethargic and not exactly ‘up’ for the gym. This is where Lift Off is my saviour! The pick me up from one Lift Off is more than enough to get me through those gym sessions where I could easily feel lethargic and waste my time in the gym. Rebuild Strength supports me whilst I try to get stronger to be a more powerful and explosive cricketer. It isn’t always possible to get access to food straight away and there are also times when we might be on a coach journey home from a late night game finish so to be able to rely on Rebuild Strength instead of a fast food takeaway at a service station is brilliant. Q: Why would you recommend Herbalife to fellow cricketers? I would have to go outside this question and say why I would recommend it to anyone playing any sport. Knowing that there are Herbalife products to develop my performance, focus and recovery in all parts of my professional cricket means a lot. Having Herbalife supplements available means I can focus on developing myself on the field and in the gym knowing that my wellbeing is taken care of which is so important. Whenever I have any drop in focus or energy, a Lift Off gets me back to a perfect level, and having a Rebuild strength shake for post gym and post training helps me to ensure that my nutrition is sound and accounted for, which is I why I feel that any athlete would benefit from Herbalife. Otra deliciosa comida para acompañar su es vida saludable Herbalife. We have another healthy starter or snack from the Recipes with Rachel Allen – Quick Pea and Mint Soup. Two shakes, two snacks and one healthy meal, a brilliant way to enhance your health. Another recipe from Rachel Allen to compliments your Herbalife healthy eating plan, Courgette, Mint and Goat’s Cheese Frittata, This is 270Kcl it takes just 20 minutes and is super yummy. Today’s little gem of inspiration is a lovely healthy snack or a side dish (52 Cal), a perfect accompaniment to the healthy nutrition,Two shakes, two healthy snacks and a healthy meal. So,what else can I have for dinner? Sticking to the two Herbalife shakes for breakfast and lunch and your two F2 multivitamin tablets and fibre and herb tablets three times a day, and two healthy snacks? Well here we have another brilliant recipe to try, Yes that’s five meals a day and you will lose fat and feel great!